In Collaboration with RecSports, Human Resources, Public Affairs, Sustainability, Food Service and NDSP. 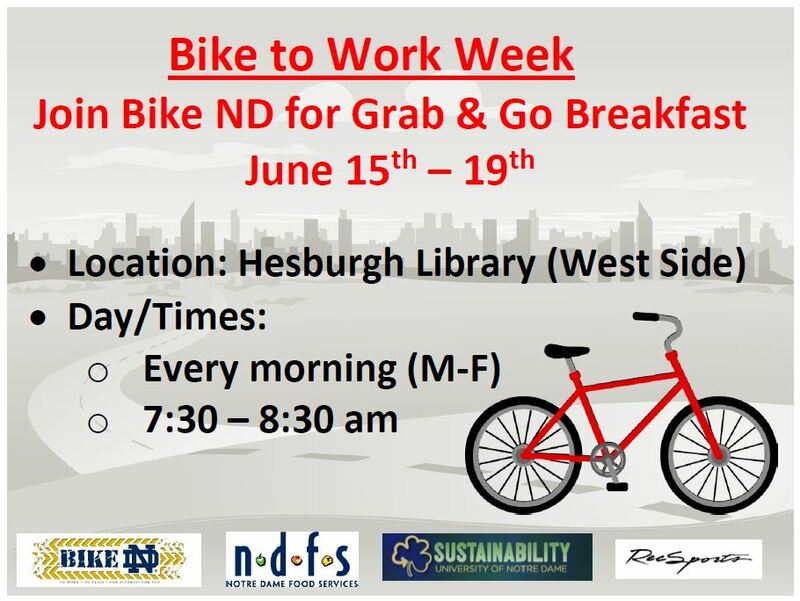 Join the Bike to Work Week Celebration! This entry was posted in Uncategorized by Elisha. Bookmark the permalink. I’ve added you to our monthly Bike ND newsletter! The 1,000 Mile Challenge Final Results! Elisha on Join the Bike to Work Week Celebration! Jessica Monokroussos on Join the Bike to Work Week Celebration! Elisha on ON YOUR MARKS, GET SET…GO!